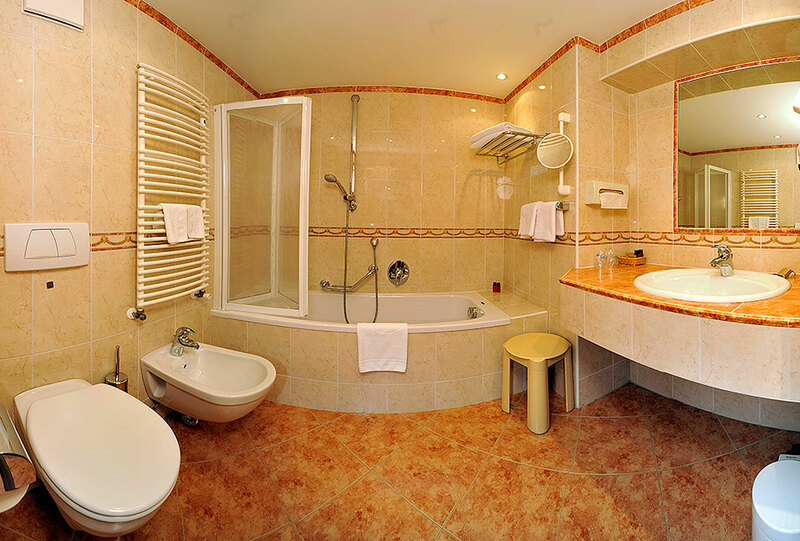 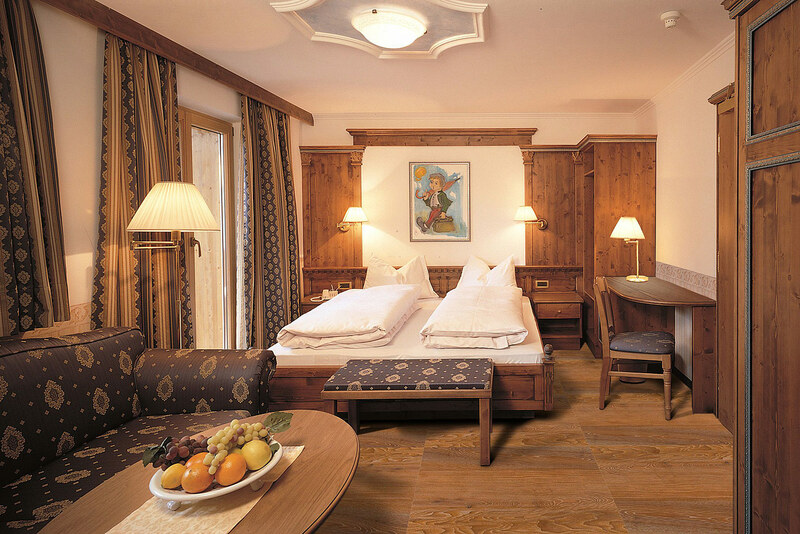 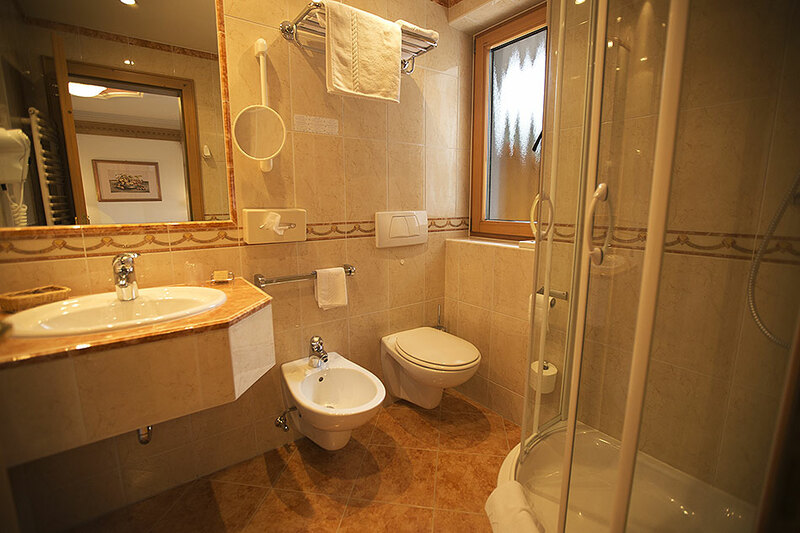 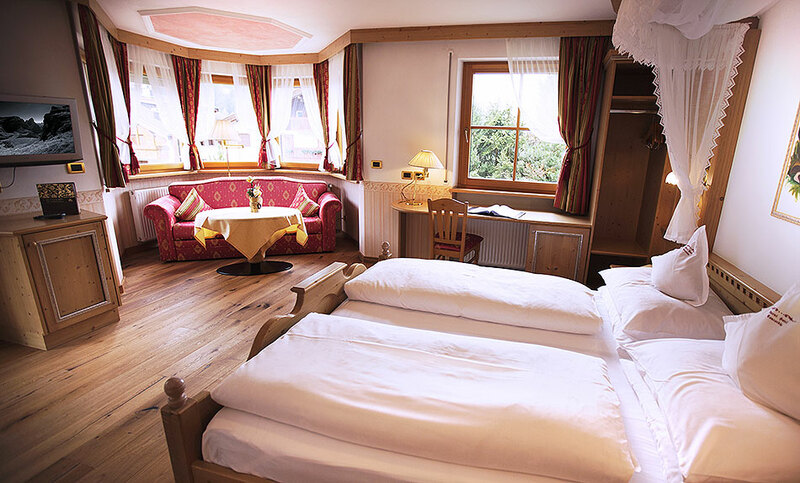 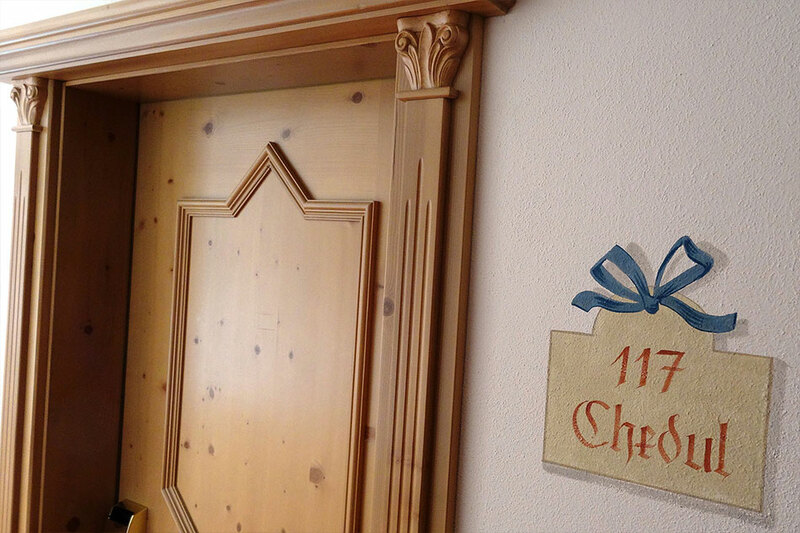 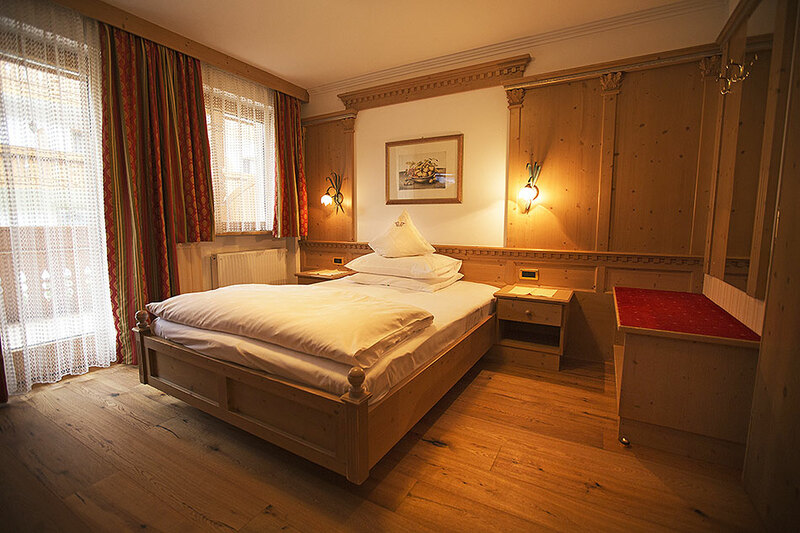 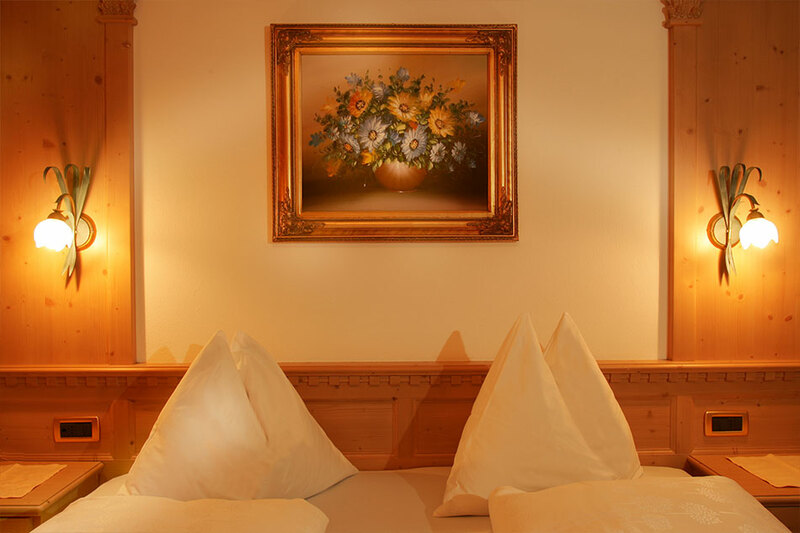 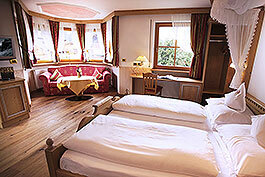 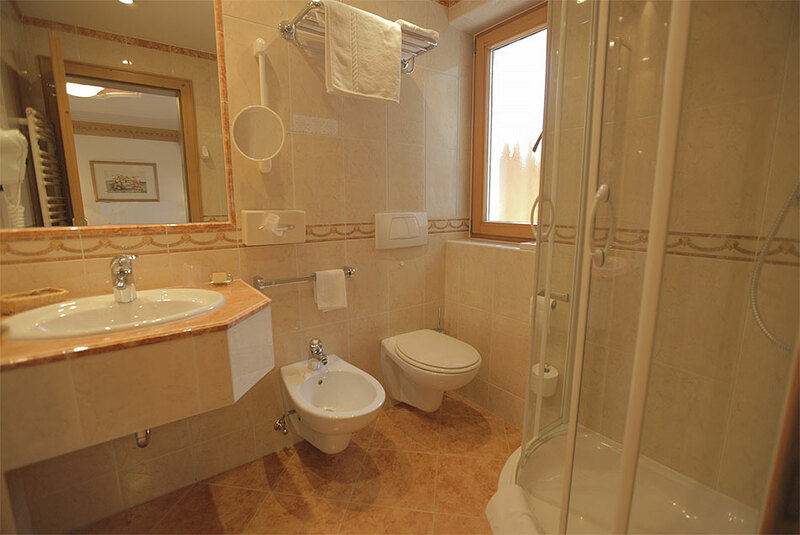 The rooms and suites in the Concordia in Selva Val Gardena are a mix of Alpine and Tyrolean styles and comfortable furnishings. 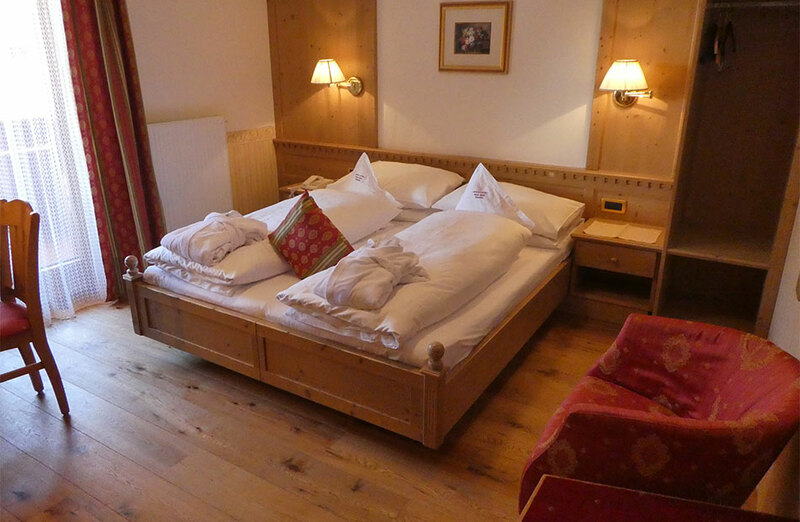 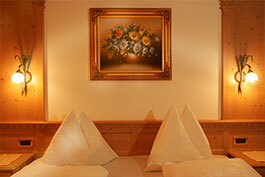 Cosy comfort is ensured by wooden floors, all beds measuring 2 m, a double sofa bed and corner pieces. 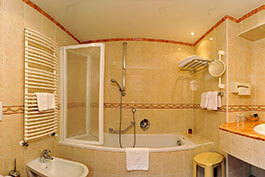 The suites have living rooms with kitchenettes for small meals, tiled stoves and separate bedrooms. 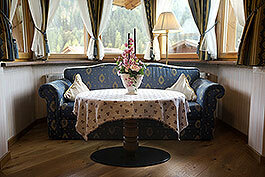 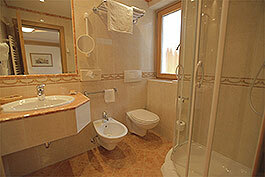 In addition, all rooms have a desk, high speed internet (Wi-Fi), balcony/terrace with a mountain view. 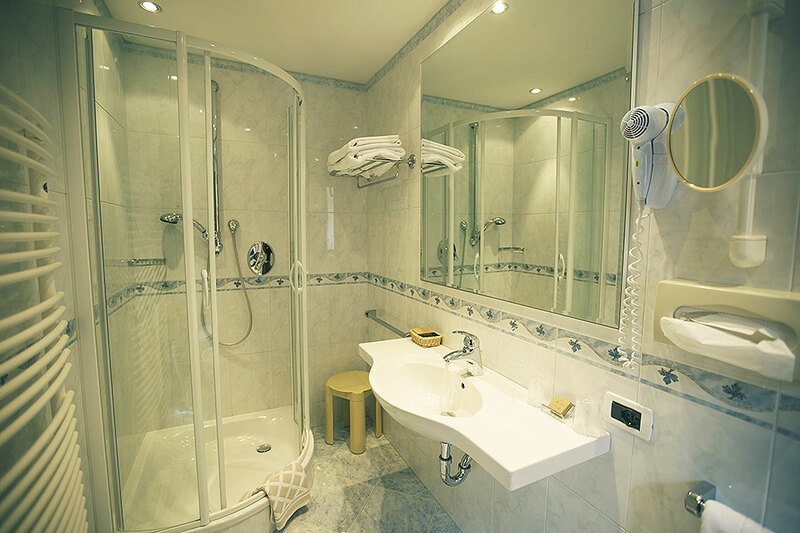 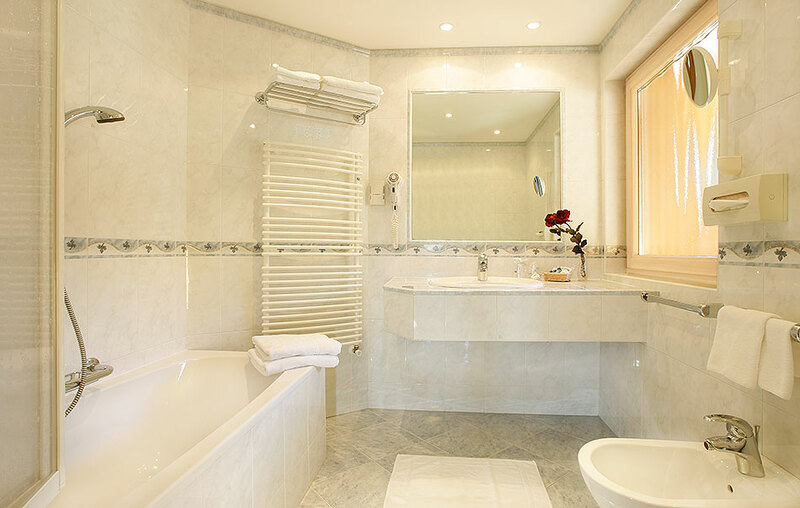 The bathrooms, designed in the "Valentino" style, feature bidets, towel warmers and floor heating, in addition to the standard furnishings. 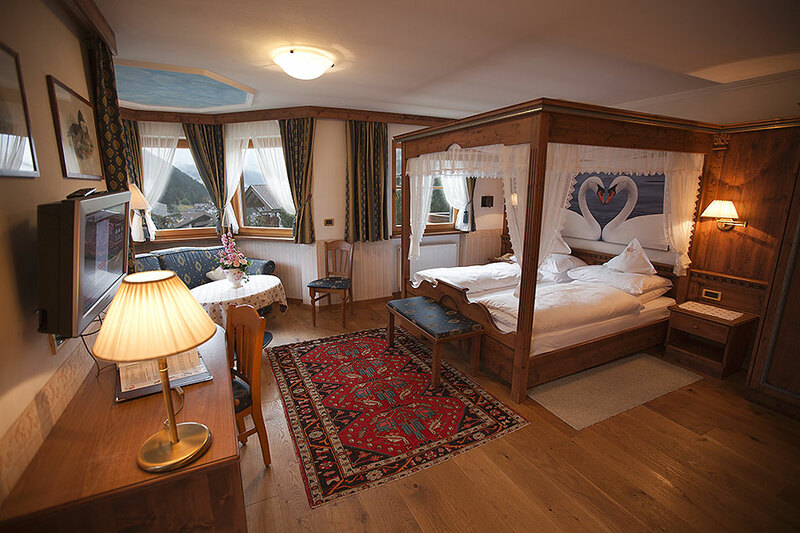 The bay-window rooms, with lots of light and various four-poster beds, are a wonderful way to relax after the day's sporting activities. All rooms are named after Ladin mountains. 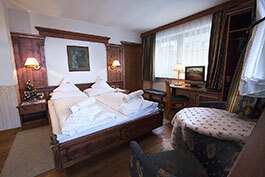 Prices are per person and day including breakfast buffet, sauna, garage or parking. 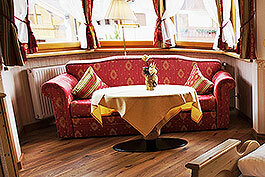 Date Bay window room "royal blue"
Date Bay window room "royal red"
• Occupancy: 2 persons. 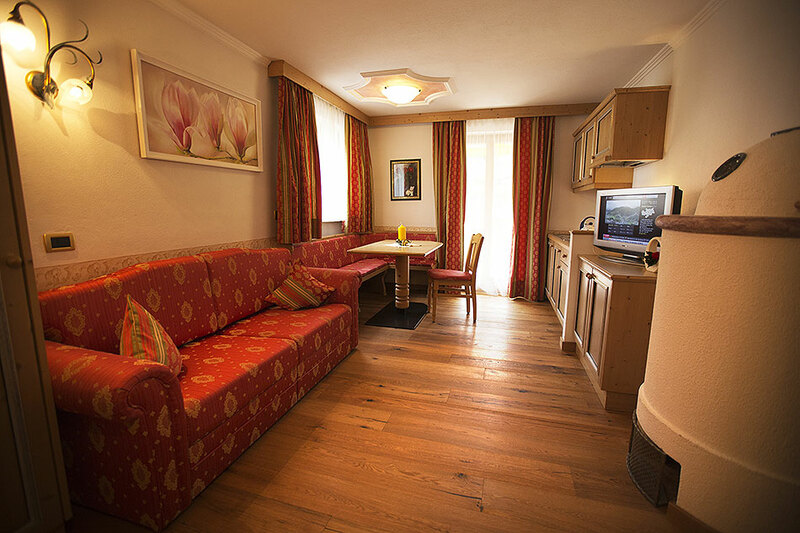 As a single-bed reservation for extra fee.